Our Framboise bouquet is a beautiful arrangement expertly hand tied by our talented florists. Each bouquet presents fragrant avalanche roses, memory roses, cerise blossoms, germinis, stallion chrysanthemums and eucalyptus. 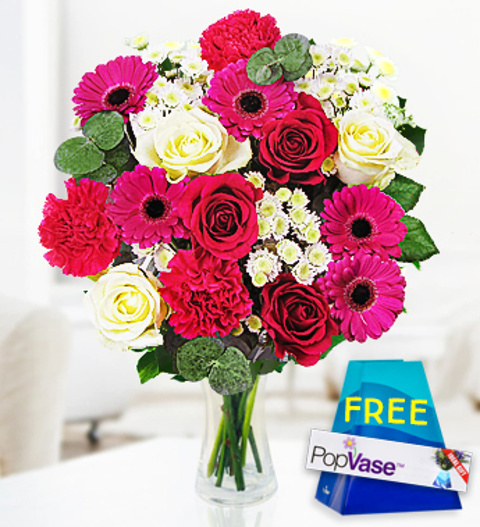 Perfect for any occasion, each bouquet comes with a FREE box of Belgian Chocolates and a Free PopVase. Framboise is available for UK next day delivery. Chocolates may contain nuts.